The consummate professional, Julie Shand arrived at Harcourts Birkenhead with a big reputation. She had already made a significant mark on the Napier real estate market, having catapulted into the area’s leading ranks in a very short time. Since working with Harcourts Cooper & Co. Birkenhead she has sold $39 million worth of homes to date. Clients are in capable hands when they work with Julie. Not only is she an intelligent marketing strategist along with good negotiating skills, her legal background and knowledge of conveyancing, contracts and procedure adds reassurance. Of course there are other reasons why Julie continues to find success. She listens carefully to her clients’ needs and with her easy-going personality, builds strong rapport by continually following up, offering valuable feedback throughout the sales process, from start to end. Good communication, she says, is hugely important. Julie thoroughly believes in giving back to the neighbourhood that supports her, through sponsorship work in her community. Check out her testimonials from a growing list of happy buyers and sellers. Add your name to the list – for a rewarding experience that’s sure to deliver outstanding results for your property – call Julie today. Add your name to the list - for a rewarding experience that’s sure to deliver outstanding results for your property – call Julie Shand today. "Julie Shand from Harcourts Birkenhead, sold our property within a 5 week window after it had been listed with another Real Estate agency for a period of 4-5 months where there was no offers at all. Margaret and I were at our wits end when we listed with Julie, she reinforced us with positive feed back through a very difficult period in the market. I found Julie to be very professional, hard working and communicated well through the whole process. A lot of hard negotiation got us over the line and now Margaret and I can now look forward to our new home in Orewa". "Julie truly understands how to successfully market and more importantly sell a house. We were able to trust in her professionalism and market knowledge and she was always available when we needed to ask questions. Her commitment to us as her clients was outstanding and she truly delivered on her promise to achieve the best price for us. We would certainly recommend her as someone who will successfully guide you through the selling and buying process". "Julie Shand is an extremely professional, hard working and diligent real estate agent. We entrusted her with selling a property that we knew would set a new bench-mark for Beach Haven and Julie came through with good results. 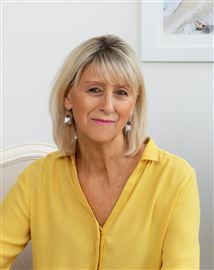 Julie has experience, expertise, a kind manner and humour all of which we found reassuring and helpful". "The amount of time, effort and professionalism Julie gave to the campaigning of our home was undoubtedly a key to her successfully selling the property. We were impressed with her strong marketing plan, attention to detail, commitment to finding the right buyer and the extra personal features of her marketing plan went beyond what we would have ever expected. A wonderful job and would recommend her without hesitation." "Julie Shand recently sold my home for an excellent price. Over the four week of marketing she was always helpful, professionally knowledgeable & relentlessly hardworking. Her advice and commitment proved invaluable and I never doubted that the property - my most precious asset - was in the safest of hands. I wholeheartedly recommend her services to any prospective seller." Tranquil Oasis on the Point.